Your phone rings at noon on a Tuesday. "Hi, it&apos;s Company X. How&apos;d you like us to write you a check for $100,000 in exchange for letting us put your name on the cover of a document?" "Great, there&apos;s a diligence call at 4:15pm. We price at 4:30." I&apos;ve always liked the purity of this business model: basically, someone writes you a check, and you deposit it,2 and that&apos;s that; you never sully yourself by actually providing them any service. But what&apos;s in it for the client: why write you a check for doing nothing? There are fixed-ish fees for underwriting services - 7% for IPOs, 3% for follow-on equity, 2-3% for high-yield, a sliding scale based on maturity for IG. If you want actual underwriting done - someone to write a prospectus, call investors, and market the deal - you gotta pay those fees. Unless you&apos;re Facebook or something, you have to pay pretty much the full fees. But you don&apos;t have to pay all of them to the bank or banks actually doing the underwriting. Generally you have to pay each active bank at least as much as you pay any other bank,3 but you can still hand over a decent chunk of the fees to lower-level passive bookrunners, co-lead managers, co-managers, and other fancy titles for "bank that receives check." So you essentially have "free" soft money: you&apos;re writing a $3mm check anyway for that $100mm deal, but you can allocate $1mm or so of it to anyone with a securities license. So you might as well hand that free money to banks who&apos;ve been nice to you: banks who lend you money at below-market rates, say, or advisors who&apos;ve done lots of free work on M&A ideas that have never happened. One thing that we talk about sometimes is the prospect of regulatory pressures like the Volcker Rule, etc., pushing big universal banks out of capital-markets activities and leaving those activities open to disruption by non-bank interlopers. There are excellent reasons to doubt the likelihood of that,5 but if it happened it might among other things increase pressure on fees, which are after all fixed by tradition more than by any actual reason. One set of interlopers who might make sense to fill the void would be the big private equity firms, which are large, well connected, capital-markets-savvy, stocked with former investment bankers, and in midtown Manhattan. So it makes sense that the big firms are getting securities-dealer licenses so they can do underwriting business. Blackstone, one of the world&apos;s largest alternative asset managers, has quietly secured a securities underwriting licence as its expanding capital markets operation strays into investment banking territory. ... If the underwriting operations grow significantly, investment banks may also be threatened by private equity groups, but to date the banks appear relaxed. Goldman Sachs and Morgan Stanley invited KKR into a bond deal soon after it formed its underwriting unit. "We have complex relations with the PE firms," said one investment banker focusing on private equity clients. "But not conflicts. And why shouldn&apos;t they capture additional revenues from the companies they control? It is just about incremental revenues." Portfolio Company X pays a 3% fee - the market rate - for a $500mm underwriting. That fee goes $5mm to Bank A and $5mm to Bank B, who actually have structurers and sales forces and who team up to sell the bonds, and $5mm to Blackstone capital markets, who don&apos;t.
Banks A and B like this because they get a full-fee deal for their fee runs, helping them preserve fee discipline. 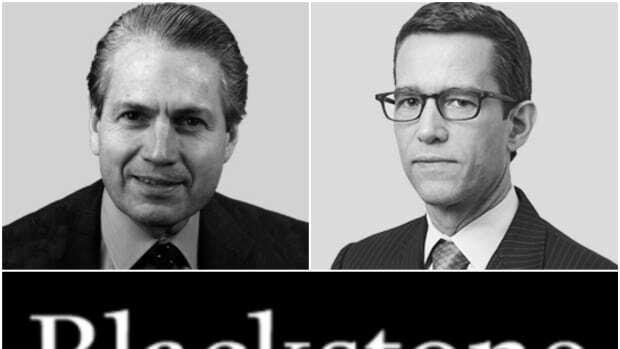 They also like it because Bank C doesn&apos;t get league table credit: the credit goes to Blackstone, who are not really a competitor for third-party underwriting deals. Blackstone likes it because they save money on underwriting, effectively paying 2% without antagonizing their bankers by demanding a reduced-fee deal. Blackstone also likes it because the fees are paid by Portfolio Company X (i.e. LPs) but go to Blackstone as revenue. The FT quotes a private equity guy - presumably one without an underwriting practice - asking "What value do they add?" and it&apos;s a fair question,7 but not the right question. If you&apos;re gonna pay 3% anyway - and you are, because you&apos;re private equity and your whole thing is paying banking fees - who cares who you&apos;re paying it to? Might as well pay it to yourself. 1.If you are at a moderately reputable place, at this point your analyst scrambles to put together a committee memo and someone other than you also signs off on taking the underwriting risk. 2.It&apos;s a wire transfer obvs. 3.Though league table credit will make people do strange things. 4.And, relatedly, the fact that "fee discipline" tends to focus more on the top line - the gross spread - than the bottom line - actual revenues to active banks. This in turn has to do with what fee runs look like: underwriter splits and fees to active bookrunners are a sort of messy thing to quantify, but "mean and median gross spread" is right there highlighted at the bottom of the page and you really want to be able to say "the mean and median are both 2.75% and that&apos;s what you&apos;re paying, buddy." In Dimon’s eyes, higher capital rules, Volcker, and OTC derivative reforms longer-term make it more expensive and tend to make it tougher for smaller players to enter the market, effectively widening JPM’s “moat.” While there will be some drags on profitability – as prices and margins narrow, efficient scale players like JPM should eventually be able to gain market share. 6.From Bloomberg I see KKR underwriting three U.S. bond issues (and zero equity deals) so far in 2013 - KKR Group Finance Co II and two portfolio companies (NXP and US Foods), good for 44th in the U.S. bonds league table so far. They were 82nd for debt in 2012, with six deals - two each for portfolio companies US Foods and Laureate Education; one for portfolio company Dollar General, and one for Infor US that seems to be a non-affiliate deal; they also were bookrunners on three Dollar General equity offerings. 7.Presumably at KKR, at least, which has a real live capital markets practice that appears to sometimes do third-party deals, there might be an actual answer.